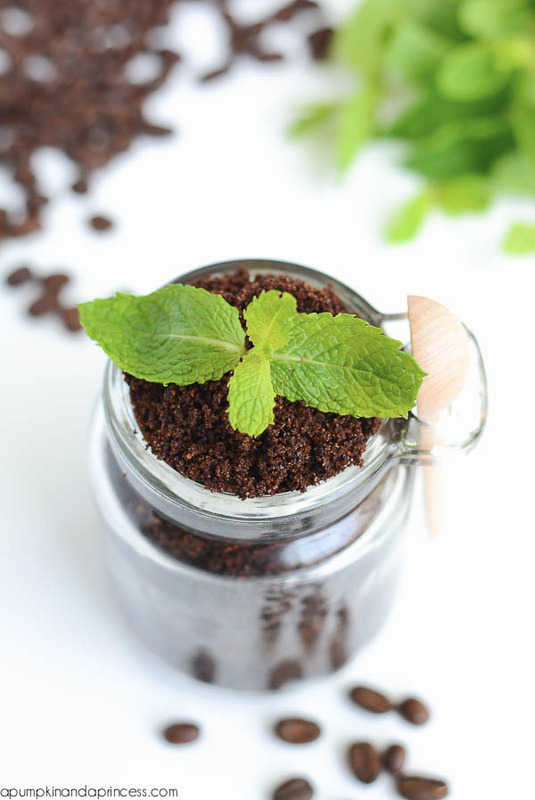 My favourite drink has to be coffee; I start and finish my day with a cup of coffee with several in between. I regularly catch up with friends over coffee and have at least 5 loyalty cards for local coffee shops. There’s even a coffee kiosk on my daily dog walking route and as they give out free dog biscuits with every coffee, Toby insists I stop for one. 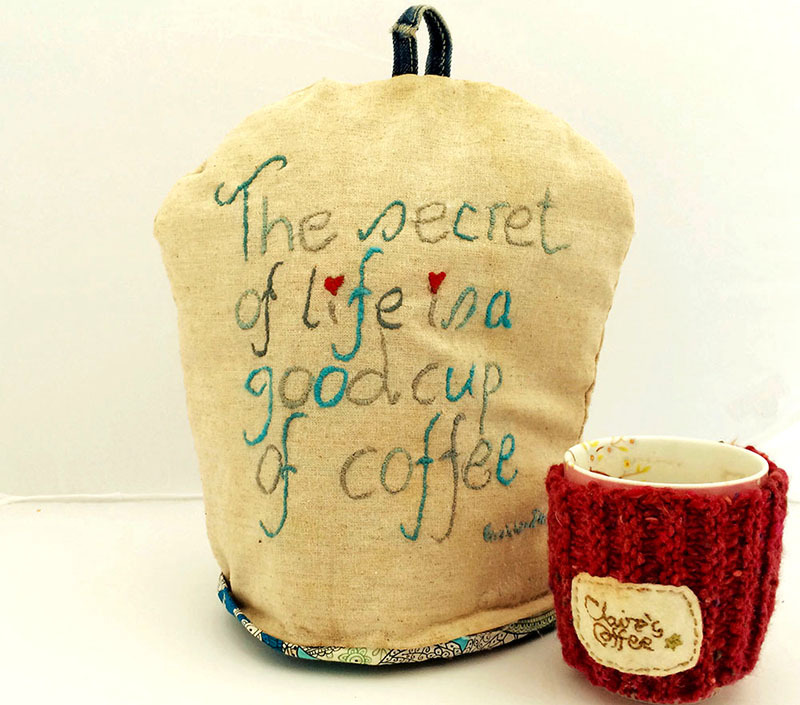 My first blog post was actually a tutorial for a coffee pot cosy, embroidered with the apt Gretchen Peters Lyircs “The secret to life is a good cup of coffee”. As it’s been a while since my last round up post (which was Apple themed), I thought I’d do another one but give Coffee a try for the theme. 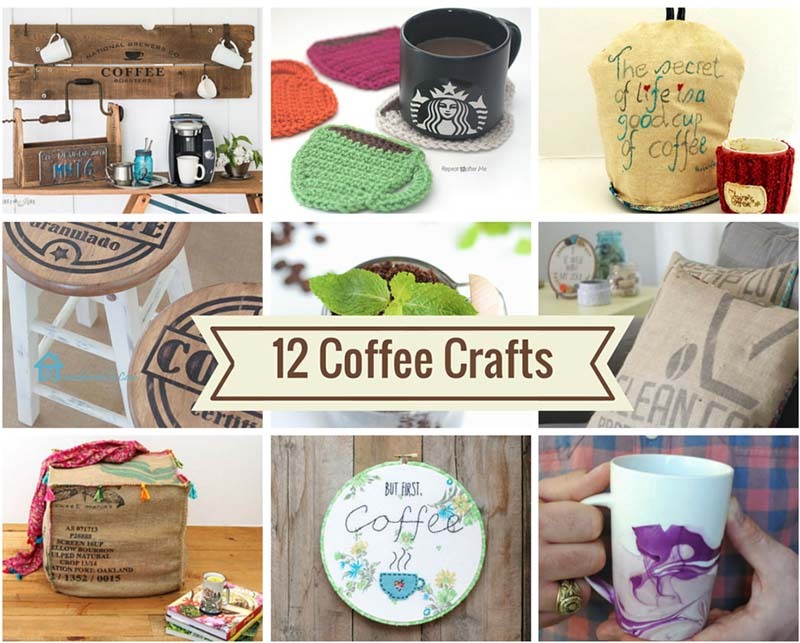 So here are my 12 favourite coffee crafts. 1. The first of my coffee crafts has to be that embroidered coffee pot cosy – which includes free pdf pattern. A great step by step tutorial to make this lovely Ottoman decorated with coloured tassells. 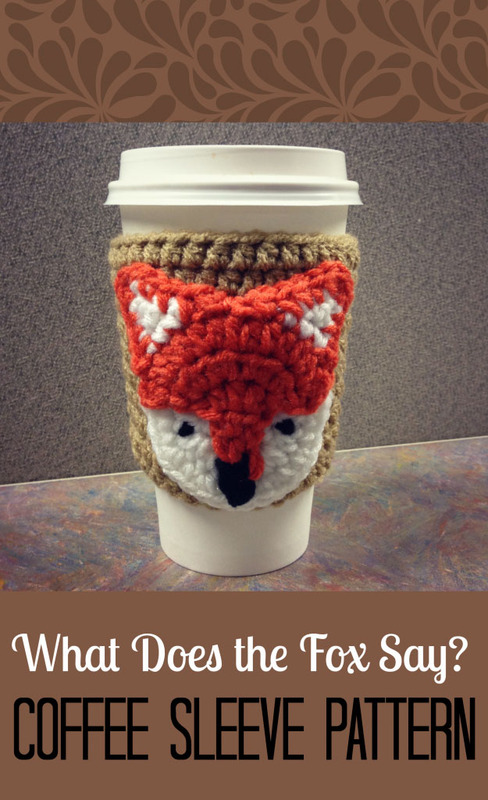 A free crochet pattern to make this cute coffee cup sleeve – would make a great present. 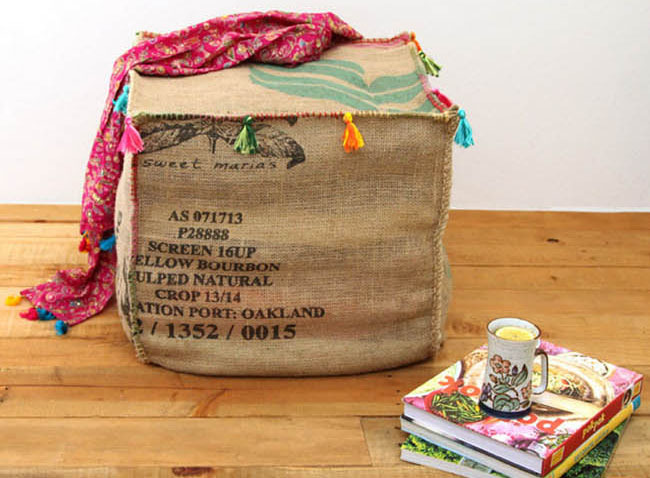 A great tutorial from my favourite upcycling/junk blog. 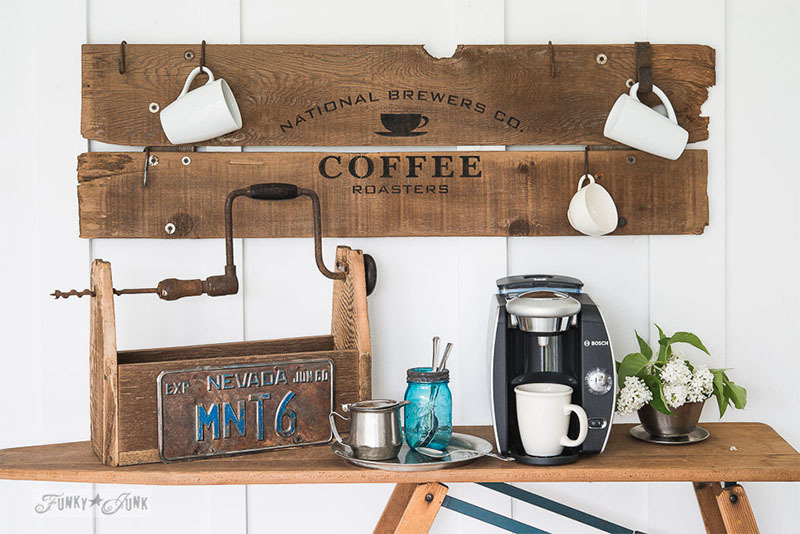 This station would be a great addition to any coffee addicts kitchen. 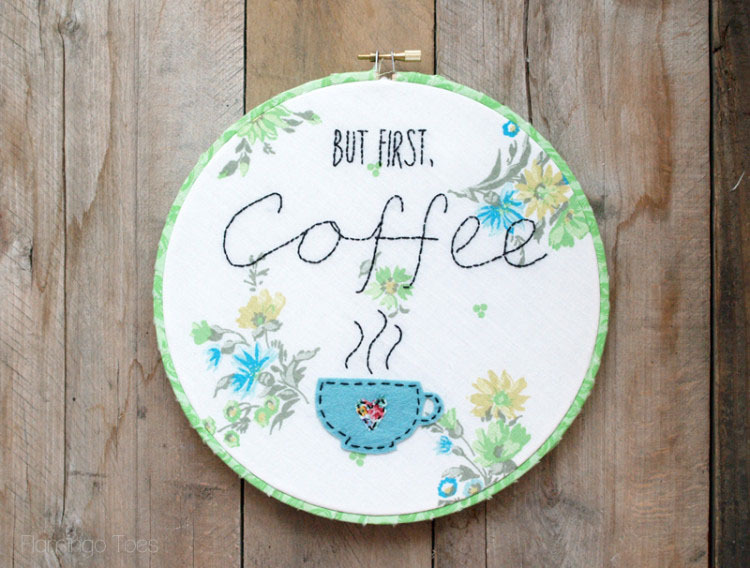 From another one of my favourite blogs, a sweet piece of Coffee stitching. 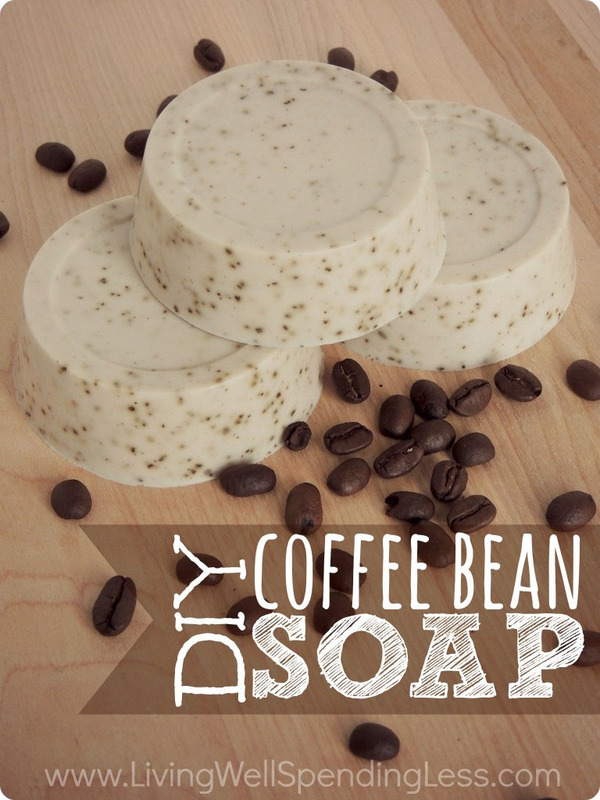 Not only is coffee great to drink but apparently it’s great to put on your skin. 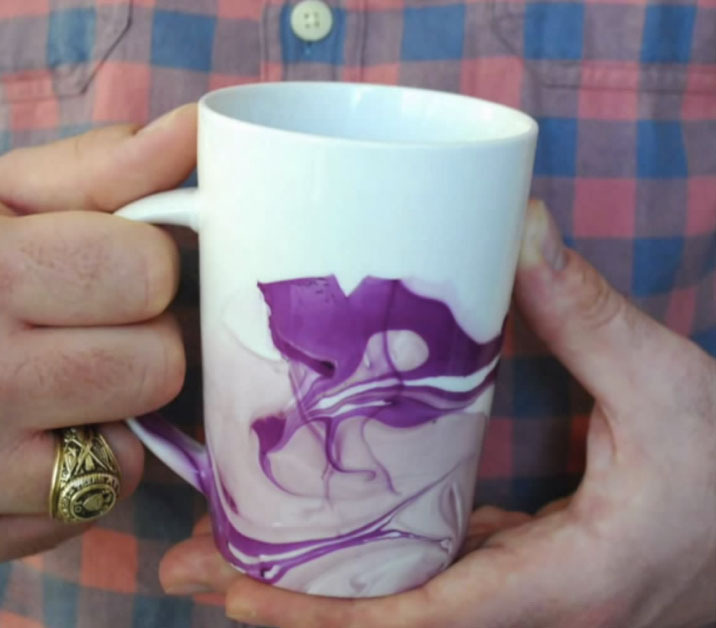 Transform some plain coffee mugs into something lovely using nail polish following this video tutorial. 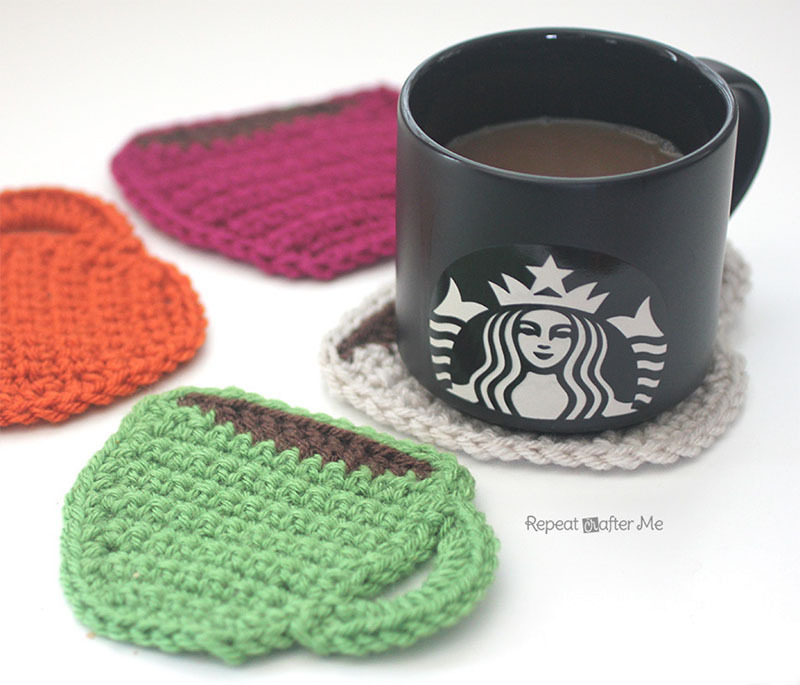 Colourful crochet coffee coasters, simple to make even for a beginner. 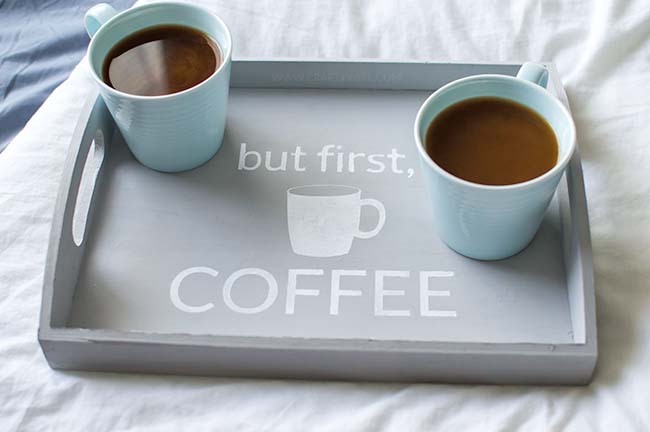 How about a stylish tray to serve your coffee. 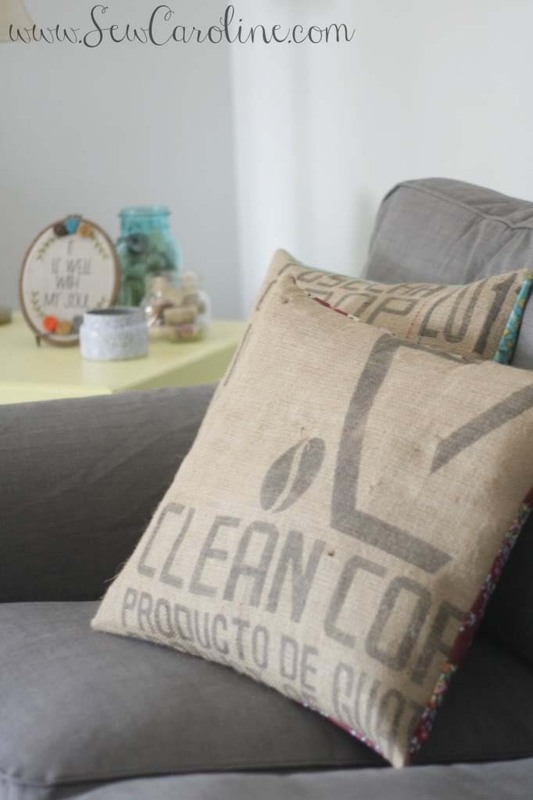 You can make loads of things out of coffee sacks but I particularly like these pillows as I like the contrast between the rough rustic coffee sack and the pretty fabric. 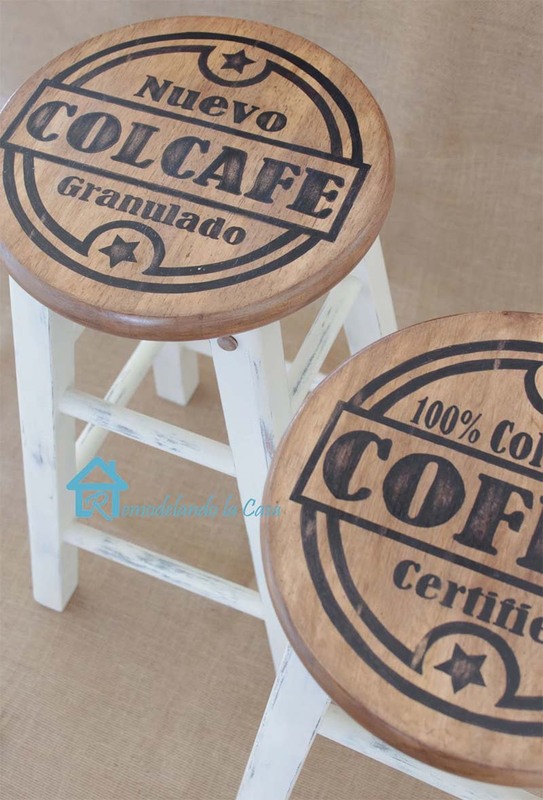 How about some coffee themed stools for your kitchen, full tutorial with free downloadable graphics. Don’t fancy a stool? 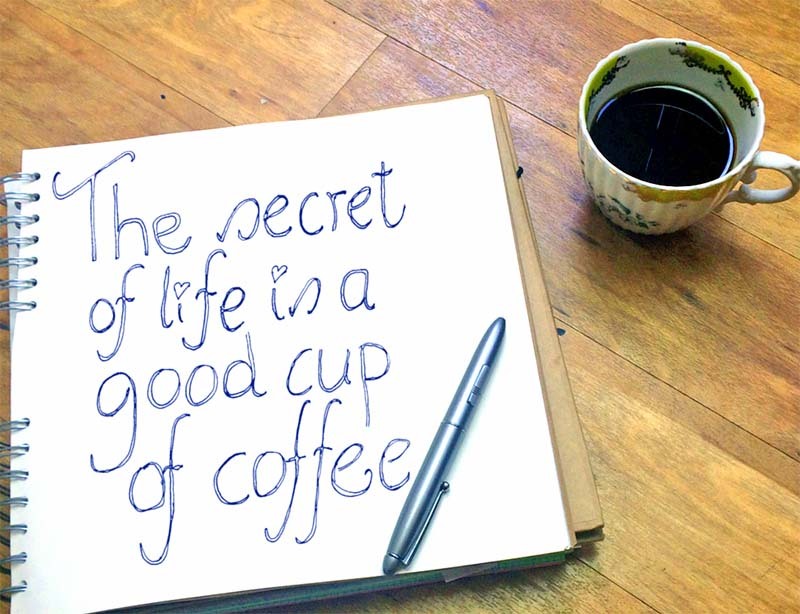 Then use the free graphics to make a great coffee sign. 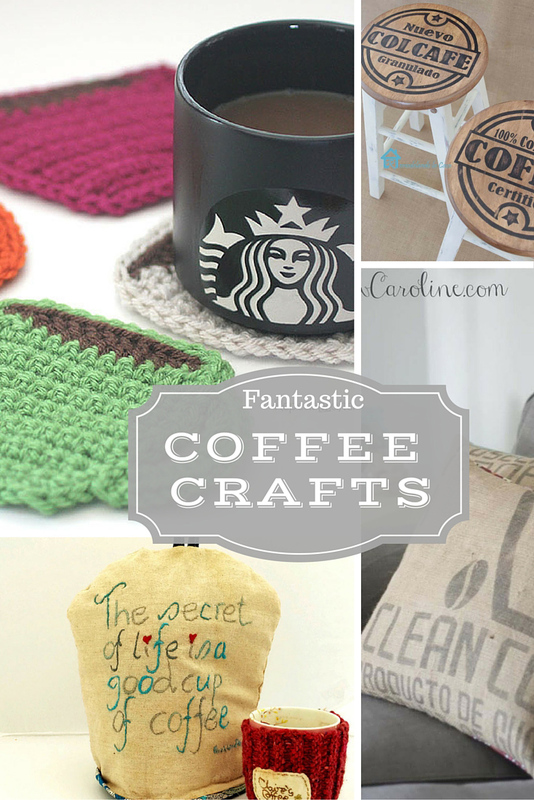 Hope you liked my round up of coffee crafts, I’m not sure which to pick as my favourite. What I do know is that I’ll carry on drinking my coffee, and may even wash in it now, either with the soap or the scrub. These are great Claire! Feeling inspired yet http://beanroasters.co.uk/ ?? I really like the crochet coffee coasters and the fox mug cozy! Too cute! Thanks for sharing at Submarine Sunday! Thanks, I think the fox mug cosy is really cute too ! You had me at coffee, lol. Loving it! Thanks for linking up with Thursday Favorite Things! Hope you’ll join us again this week. Thank you ! And I will do. Great project round up. Visiting from Submarine Sunday. Cheers!